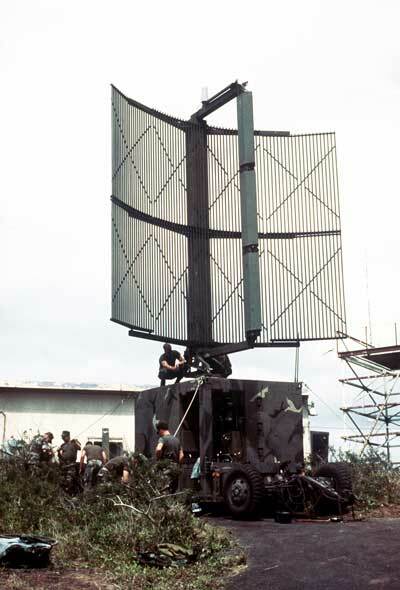 AN/TPS-63 is an L-Band low altitude tactical air defence and ATC radar. The digital MTI uses a four-pulse canceller with variable time intervals between pulses to distinguish moving aircraft from ground returns, while eliminating MTI radar blind speeds. There is also an additional digital three-pulse MTI weather canceller and digital constant false alarm rate processing which is extremely effective against heavy rainfall and chaff. The radars ECCM capabilities include frequency agility, PRF staggering and pulse coding. System fits into a single shelter with antenna mounted on top for ease of deployment. AN/TPS-63 is available with a new solid state transmitter. The integrated secondary radar uses the antenna of the primary radar. 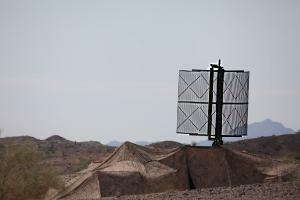 A four-man team can erect and prepare the radar within an hour. The 4.9 · 5.5 m antenna is constructed of sections which are stowed within the shelter during transport.